Jan Telgen, received an M.Sc. in Econometrics at Erasmus University Rotterdam and a Ph.D. in Economics from the same University in 1979. He has over 30 years of consulting experience. Following a period as head of an internal consulting group of Rabobank Nederland, the country’s largest retail bank, he joined PricewaterhouseCoopers (through its predecessors) as a partner in 1985. He headed their consulting groups in Operations Management, Quantitative analysis and Procurement. Over the years he has been involved in a multitude of research and consultancy assignments for a variety of Dutch and international firms and public organisations. In 2003 the 50 people consulting team he headed split off into Significant, a consulting group specializing in Public Procurement and policy analysis. Jan Telgen was partner and CEO of Significant from its inception until he sold his shares in 2009. Jan also has over 30 years of experience in teaching and research on Public Procurement. From 1987 onwards he combined his consulting work with a part time chaired professorship in Applied Operations Research and Public Procurement at the University of Twente. His research focuses on the efficient use of public procurement methods to be both effective and to achieve policy goals. Topics that he published on include the optimal number of bidders, public provision of social services, procurement control, horizontal cooperative procurement and supplier selection mechanisms. He was one of the originators of both the International Research Study on Public Procurement (IRSPP) and the International Public Procurement Conference (IPPC). His work in Procurement has been awarded the 1997 IFPMM Maple Leaf Award (best paper in Purchasing) and the 2010 IFPSM Hans Ovelgonne Award (career achievement in Purchasing research). He plays an active role in further developing the Public Procurement discipline. Jan combines his professorship with research and consulting work on professionalizing public procurement organizations, working with such diverse organizations as municipalities, local and national governments, health care organizations and the United Nations. He is coordinator (with Elisabetta Manunza) and managing director of the Public Procurement Research Centre PPRC a joint effort of the university of Twente and the University of Utrecht in research on Public Procurement. He is a board member of the International Trade Centre (ITC) Supply Chain Management program, Intrakoop (€ 800 million cooperative procurement for health care organizations), CPS (education consulting), Pallas (new Dutch nuclear research reactor) and various local and charity organizations. For the Dutch government he is on the Tenderboard of the National Police, the central Government ICT purchasing and primary and secondary school purchasing. 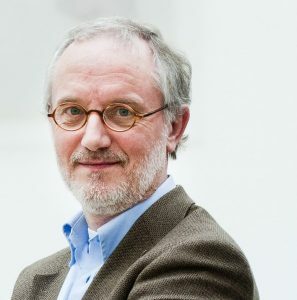 He chairs the government review committee on Small Business Innovation regulations and is chairman of both the expert group on Purchasing Management and the expert group on Social domain purchasing for PIANOo (Dutch national government).